This is going to be a short post, but you’re going to love it, bookmark it and show it to your friends, promise. Every marketer knows that getting tons of followers on Twitter in a nice challenge, but the real Everest, the real holy grail is in your genuine engagement rates. Not the bots, not the auto-retweeters, but talking to actual people. 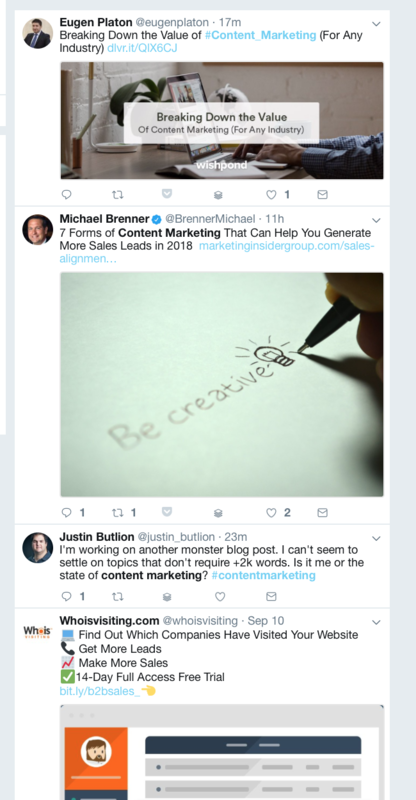 If you’re using Twitter for marketing and lead gen, you know that getting in front of people faces at the right time with the correct information is where you really strike gold. Known brands spend tons of money on tracking and monitoring specific terms and branded terms, so they can answer all the relevant incoming tweets and message in real time and respond as fast as possible. You want to increase engagement and find REAL people to talk to? Yup, Twitter is almost kind of a dead end for you, right? Not anymore. 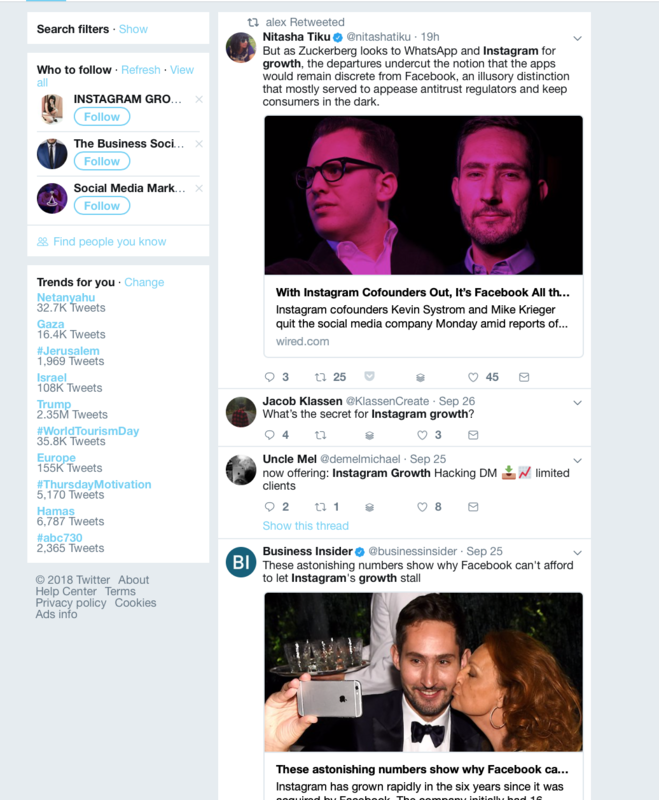 What I’m going to show you right now will literally change how you search for meaningful engagement and build relationships on Twitter. This is one of those silver bullets people tell you don’t exist. Let’s start with the original problem, though. How do you look for relevant conversations on Twitter? An old time “tip” on how to find relevant conversations on Twitter is simply using Twitter search. But what happens when you perform a search? You only get results from other marketers promoting their stuff. It doesn’t really help you, right? 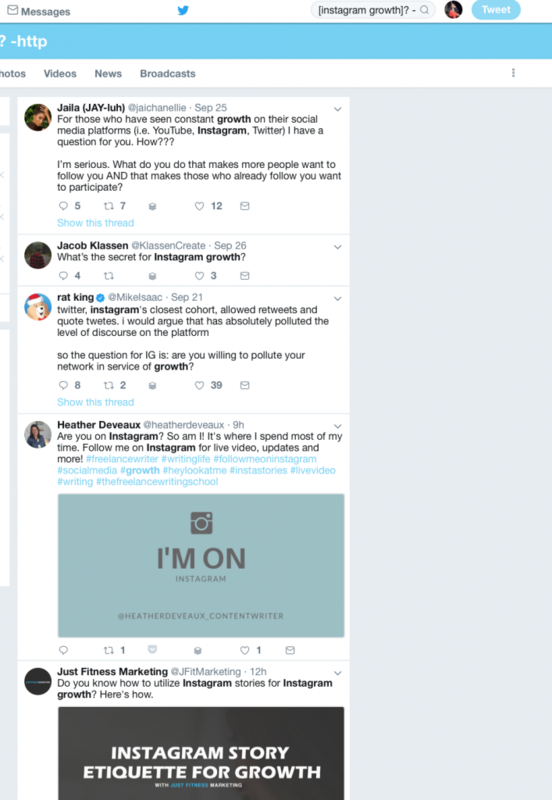 You were looking to answer some questions about content marketing or help somebody struggling with Instagram growth, but all you get is other links and other marketers. Some people spend hours looking for a real question asked by someone that needs help. One of the features most people don’t leverage well enough – search operators. Last week I wrote a whole blog post about how you can leverage Google’s search operators to find guest blogging opportunities. Are you ready for the almost “I’m so dumb I didn’t think about it” technique to find real questions on Twitter? The problem with search terms like “Content marketing” or “Instagram growth” is that you get every results possible. 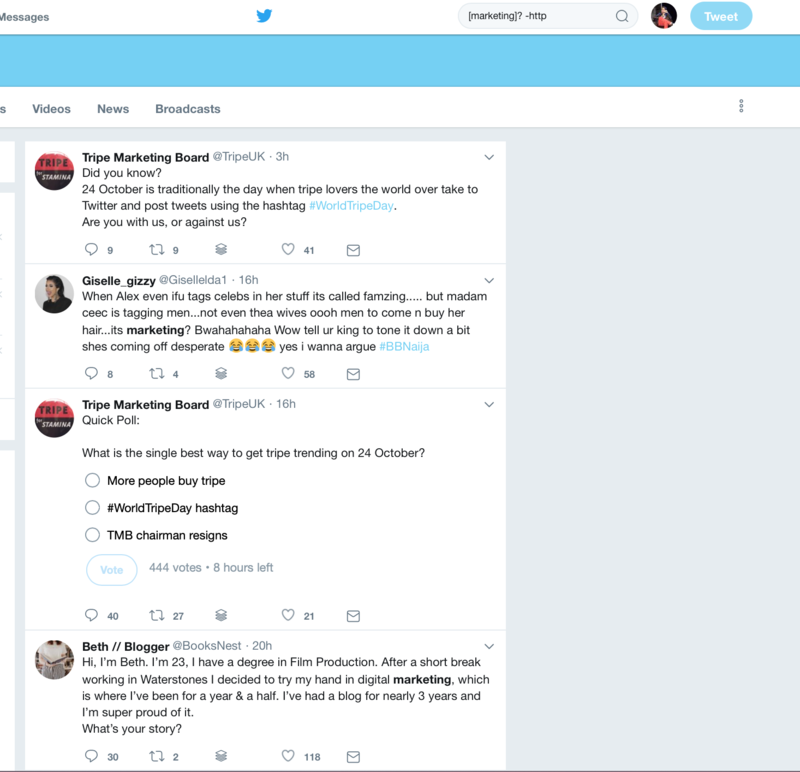 Tweets with no links (so you know they’re not marketing/promotional tweets). -HTTP – will make sure no link with “HTTP” in it will appear in your search results. It’s Kind of crazy and straightforward, right? By using the right operators, you can easily filter our all the link / irrelevant information you don’t really want to get. In a future blog post, I’ll show how to set up the perfect engagement dashboard for your brand. When working with a new platform/social media channel always go deep into their features. Most people will stop at the “user level,” but as a marketer, you have to find the gaps that give you leverage over other marketers that have the same goal as you. To get the best out of Twitter as a marketer, you’re after the quality engagement. After providing real value and make people’s lives better or easier thanks to the information or product you put out. This technique will help you do that in no time.